Unlike the adventurers of the Nineteenth Century, like famed Arctic and Antarctic explorer, Norwegian Roald Amundsen, or Richard Burton, the British explorer, soldier and spy who trekked through Africa, I have no comparable stories. But in setting off today with my spouse to explore San Diego’s northern fringe, our adventure was more akin to this quote. Where Antarctica might have seemed an ideal choice given it has been a very hot week in San Diego, you cannot do that in a weekend. We initially had thought to go to Catalina Island but booking the round trip passage by ferry should have been made several weeks ago. There were no available seats. It is the height of the tourist season, after all. An alternate plan considered last night (27 July) to go to Morro Bay by Amtrak and car was nixed with the report of a brush fire near Santa Barbara halting rail traffic. A third choice, to revisit Idyllwild was also equally unavailable with a wildfire that resulted in evacuation of that mountain community. While I quipped that everyone heading into San Diego or to the beaches of Southern California might leave Death Valley an opportune tourist-free choice, this week’s record-setting 127 F (52.8 C) might result in our desiccated bodies becoming a fixture there. And so we chose to drive up for the day to Palomar Mountain State Park in northern San Diego County. On the way there, a highway sign warned us that all eastbound traffic on the highway we planned to use was halted due to a brush fire. And as the air quality appeared every bit to make Palomar less scenic, I chose to drive us to Temecula in Riverside County and walk around Old Town. Perhaps we would find an early visit to a Farmers’ Market entertaining. We visit Temecula, a town in Riverside County fifty miles north of San Diego, often with no particular agenda in mind. With my usual “gut-instinct” instead of Google Map directions, I guess-timated, backtracked from the exit north of “Old Town” and found the market within a few minutes. At eight-thirty in the morning, street parking near the market was available with almost no effort on my part. I amazed my spouse with – surprising to me – effortless parallel parking with a single swing. An artisan at the entrance to the market, Jerry’s Birdhouses, was the first to catch my wife and my eye. Little “interactive yard art” the artist calls them, on a four foot stand made from a tree limb. One of these will probably come home with us on a following visit – when we drive the SUV instead of our sedan. Next we saw a lady who makes pendants from old mechanical typewriter keys, and a poet at another mechanical typewriter ( his sign proclaimed “give me a topic and I’ll give you a poem”). Pauline Bowron is an amazing photographer in Temecula with stunning images matted and on metal. One of her images of a rare winter snow day – and her tale about residents in the hills being snowed in – was enough for us to bring one home. I talked with another seller of dog toys and products, when his tug-toys made from old firehoses and climber ropes caught my eye. Interestingly, he had dog bandanas also on display of the sort I had been planning to add to my Facebook site. After visiting all the other vendors, I came back and purchased a tug-toy. (Let us see if Dexter can shred this easily.) We chatted a few minutes. Then I saw a stand with donuts that was operated by the folks who have a local restaurant my wife and her friends have visited before. When I joked whether they were gluten-free or Paleo-approved – the woman affirmed it! Of course we sampled the goods. Amazing. Not at all like the donut you might expect. Even one with bacon on it. While we sampled, we chatted about clean eating, Yelp reviews, and my dog-blog. Extraordinary Artisan Table, EAT, is supplied by local farmers and their fare features seasonal fruit and produce. And after working up an appetite walking around the market and the shops in town, we put our purchases in the car and had lunch at EAT. Since we are now regularly purchasing vegetables and fruit, particularly organically-grown, we were looking at the couple dozen stands of local farmers displayed their goods. With our neighbor sharing squash, oranges, grapefruit, and tomatoes with us, we were looking at the chiles and beets, and berries. But it was a huge kolrabi (German turnip or turnip cabbage) that I did not see elsewhere that came home with us. The young girl mentioned that her father was going to plow that field under but was persuaded to bring those instead to their market. ( If this tastes as good as the ones we have been eating weekly for the last couple months, I may have to buy his field.) This vendor also had huge beets, as well as other produce. If your passion is fresh quail or duck eggs, there’s a vendor for that too. By the time the day got warm, we were already heading to the car and home. With all the walking, we never thought twice about the gluten-free, organic, fresh brownie we snacked on walking back to our parked car. While I know some who are all keto diet or paleo may be shocked, it’s our “cheat day”. 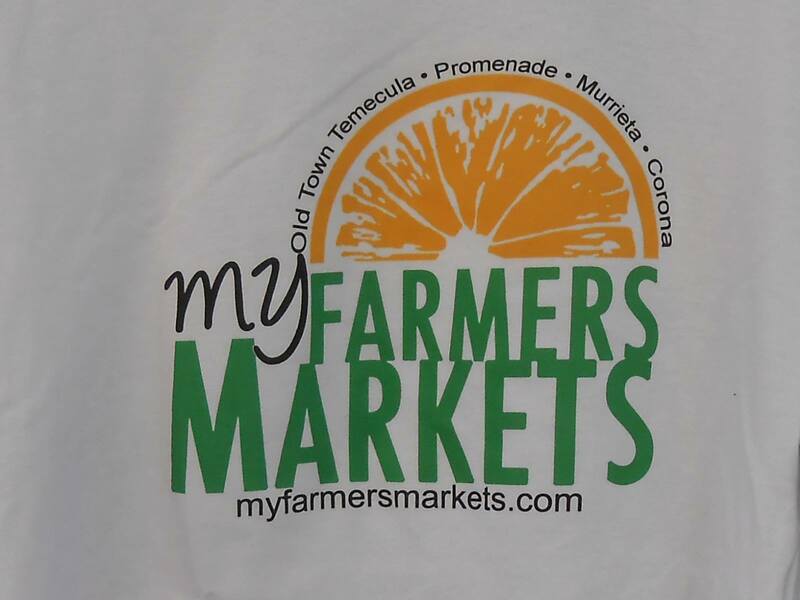 I would highly recommend to all a visit to the Farmer’s Market in Temecula any Saturday this summer. A short drive for a wonderful date with your significant other.